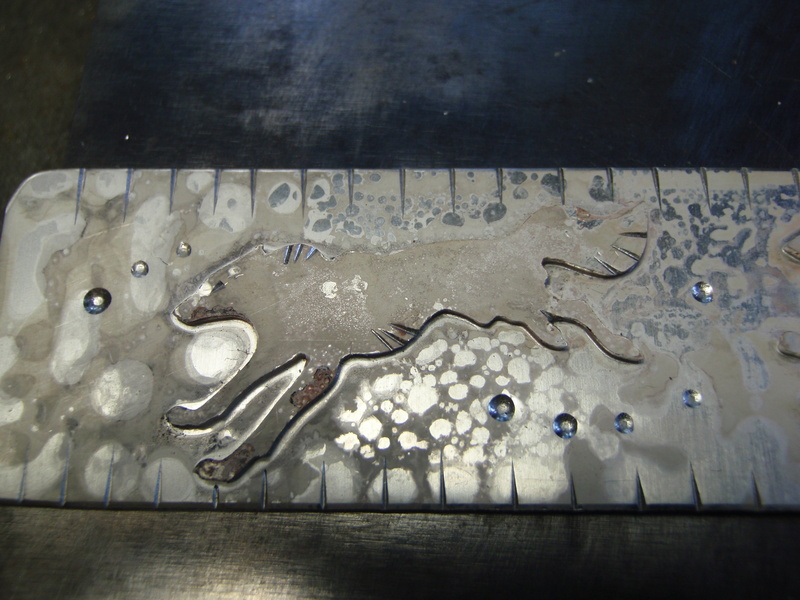 Hi there and welcome to my new blog . 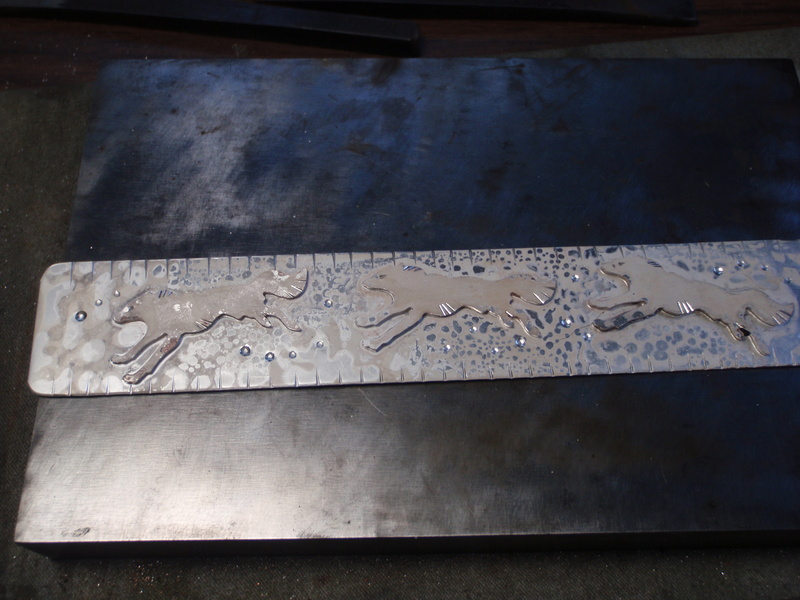 I will jump right into it with my first project . 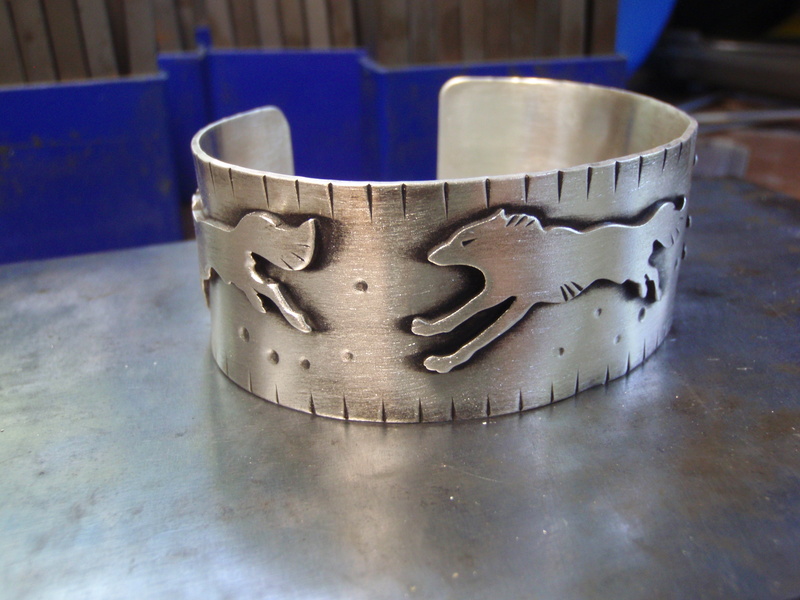 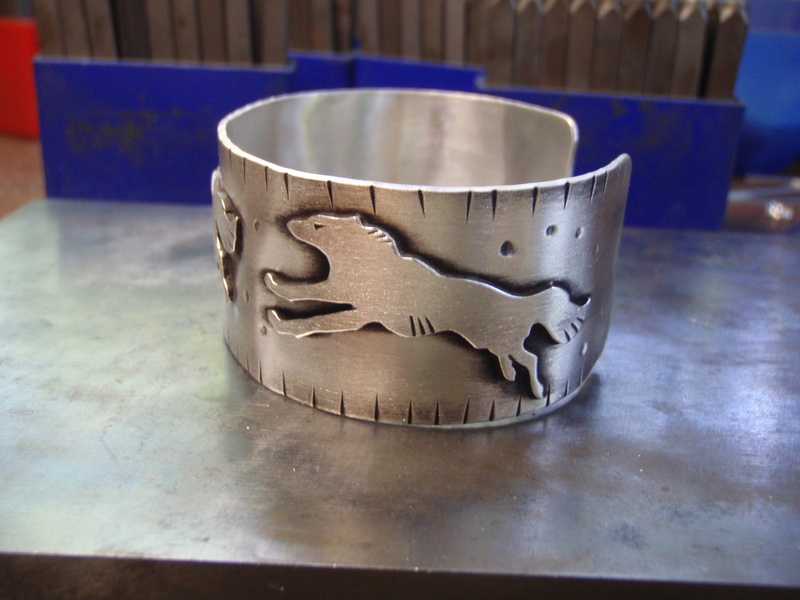 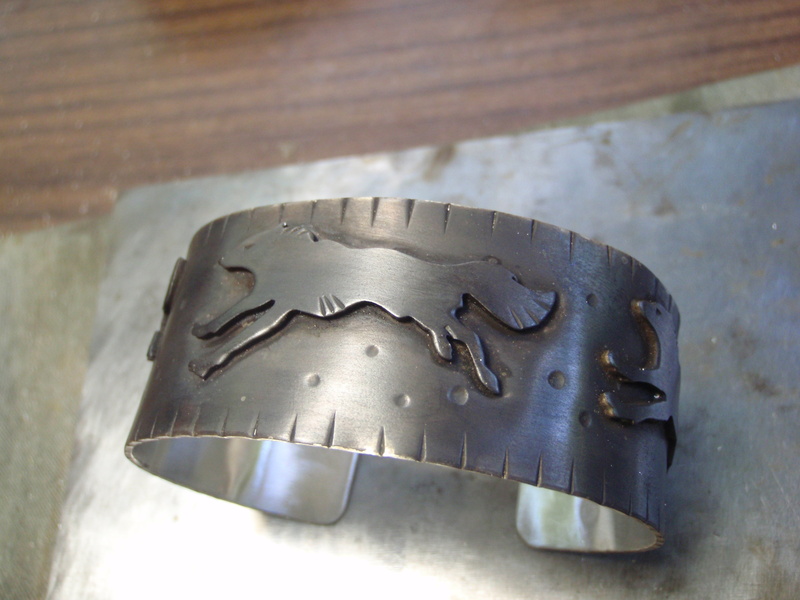 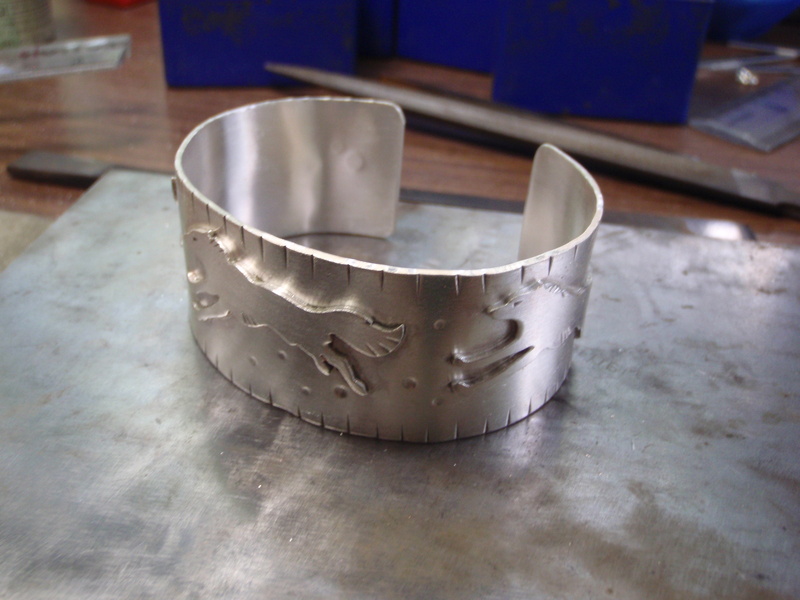 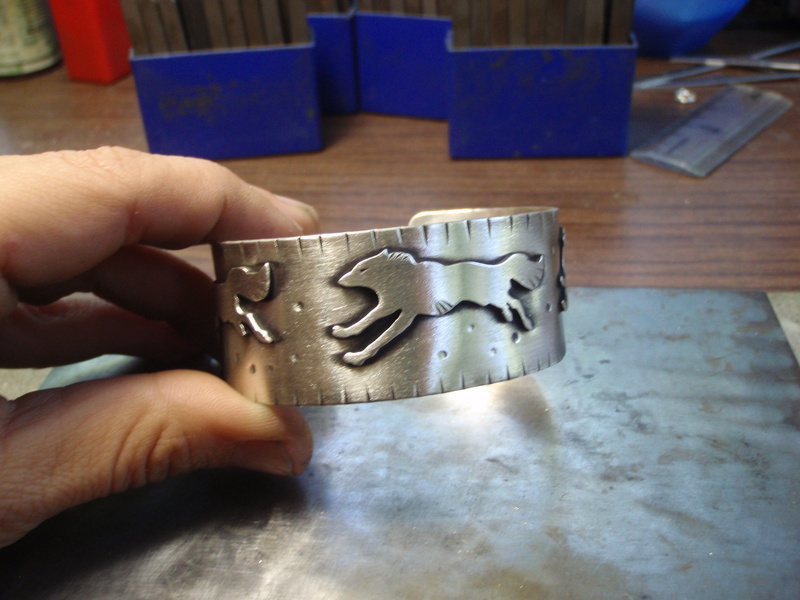 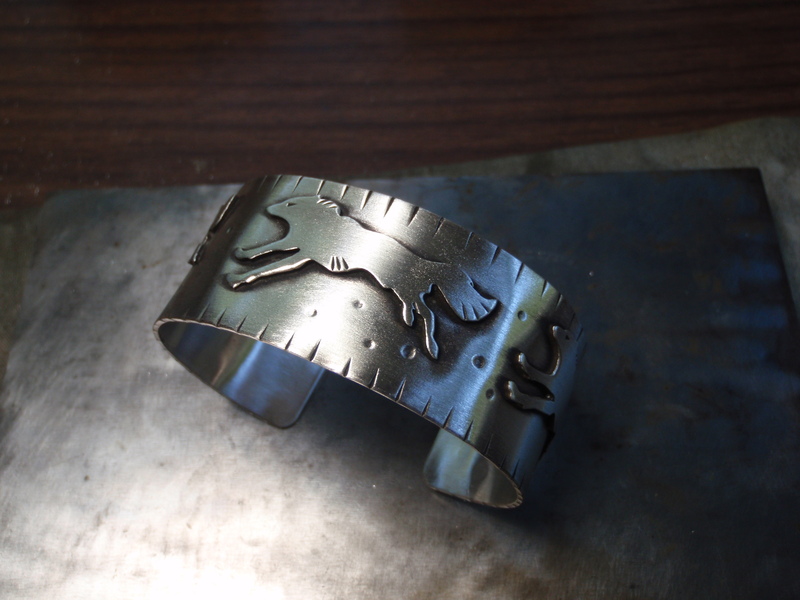 A sterling silver running wolf bracelet. 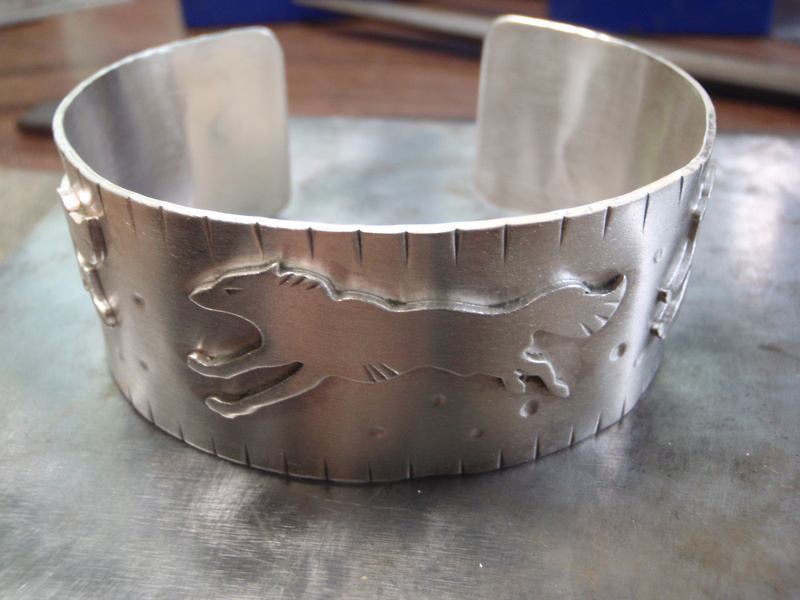 I used 18 gauge sterling silver for this but you can make it also in copper ,bronze or brass. 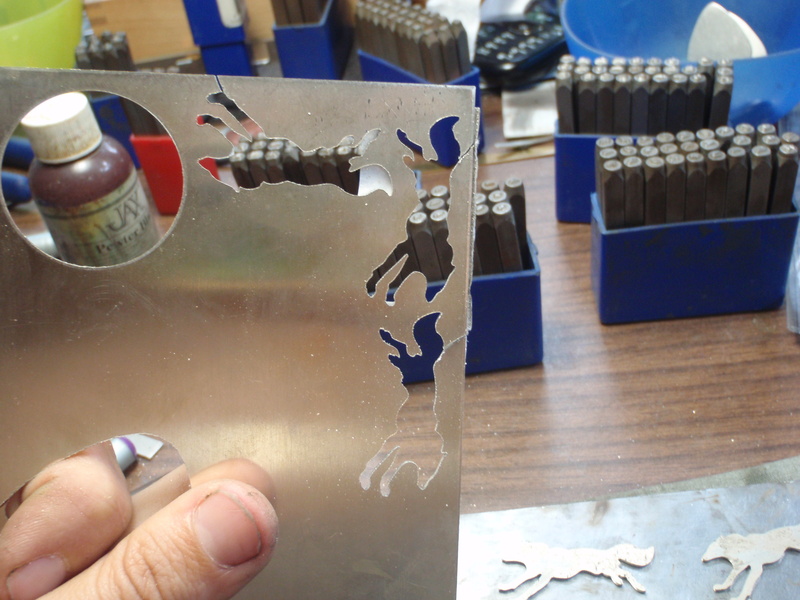 I cut a 1 inch wide by 6 inch long strip from the sterling sheet. 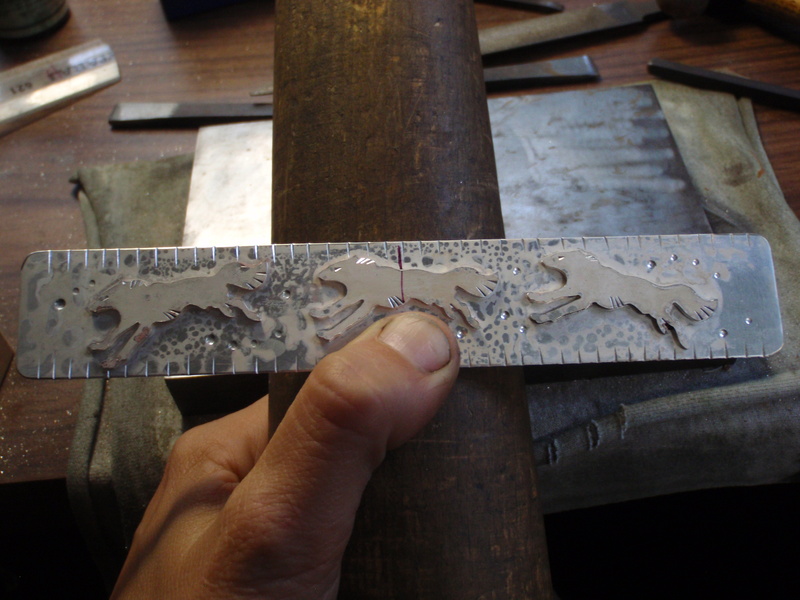 3 wolfs were transfered onto the silver and cut out via jewelers saw and 1/0 saw blades . 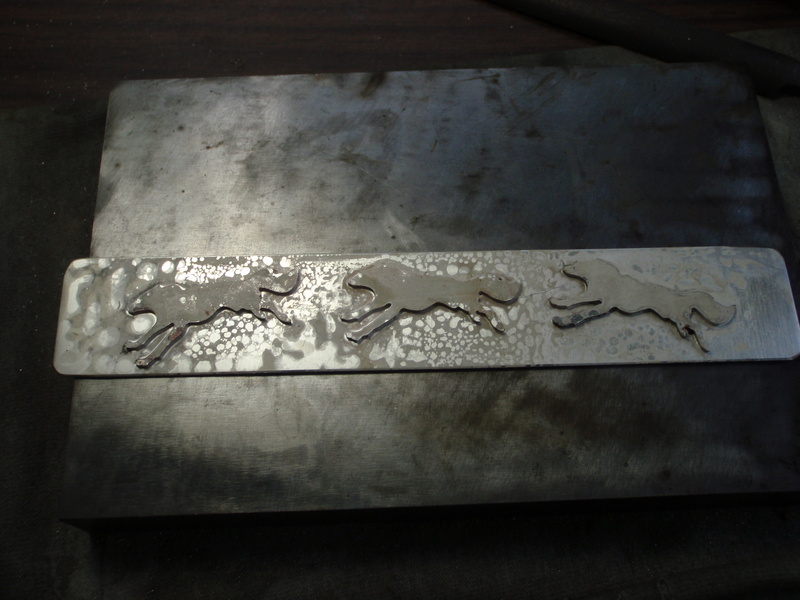 I soldered the wolfs onto the strip and then pickled it. 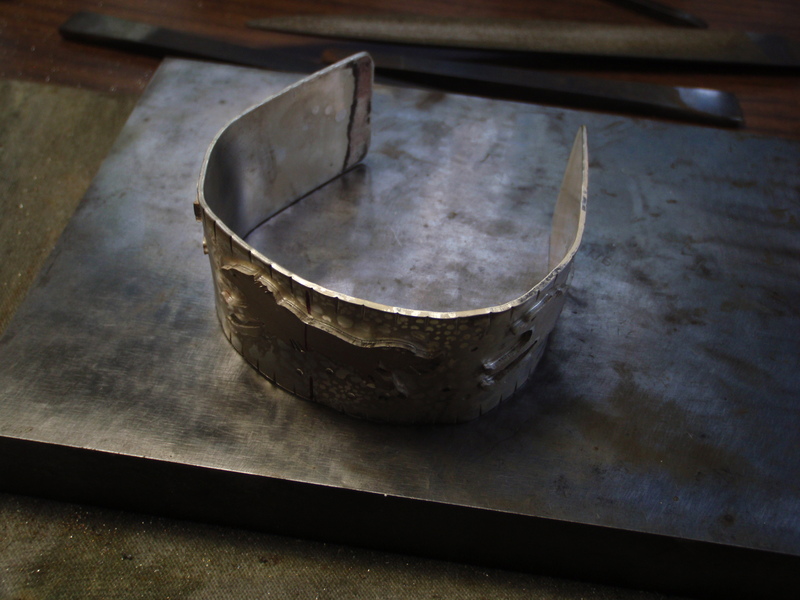 Round the edges. 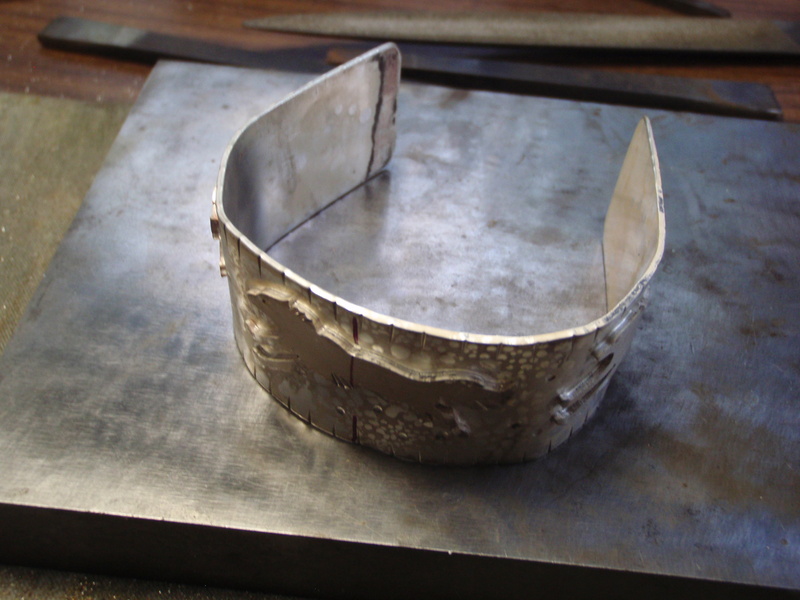 Start adding texture with chasing tools or if you don’t have any use screw drivers and nails . 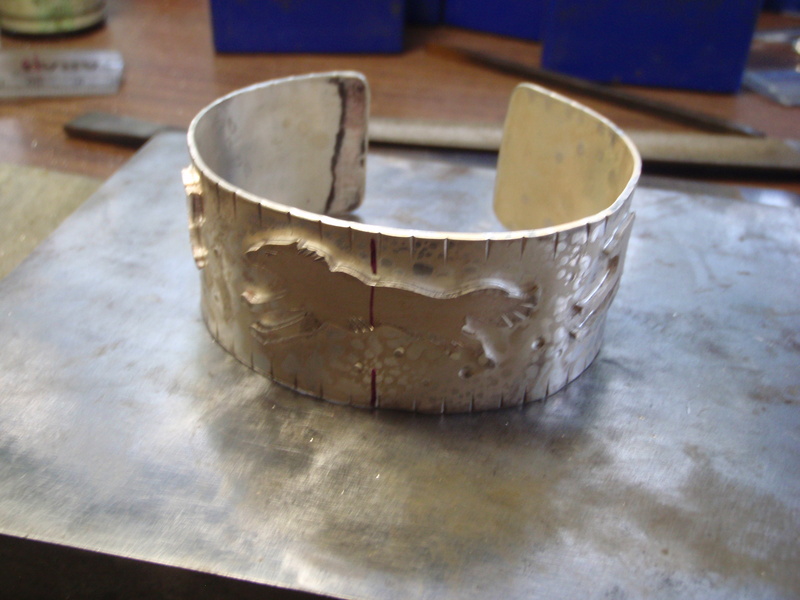 After adding the texture start bending by hand around a bracelet mandrel . 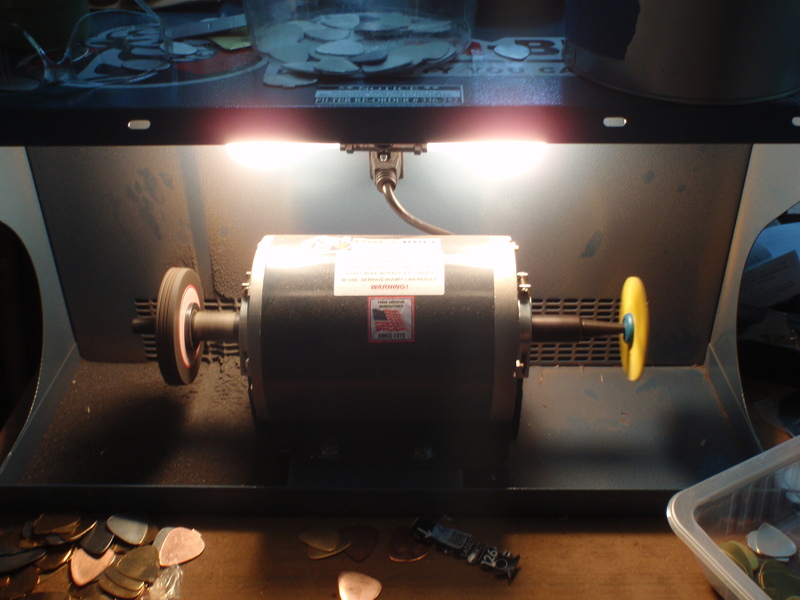 I use a wooden one as that is what I prefer ( the steel ones marr the metal to much – at least in my experience. 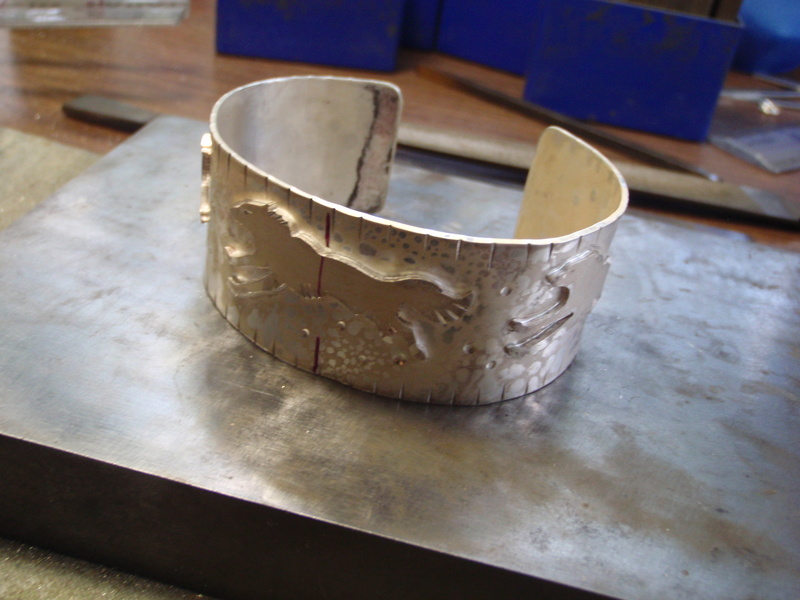 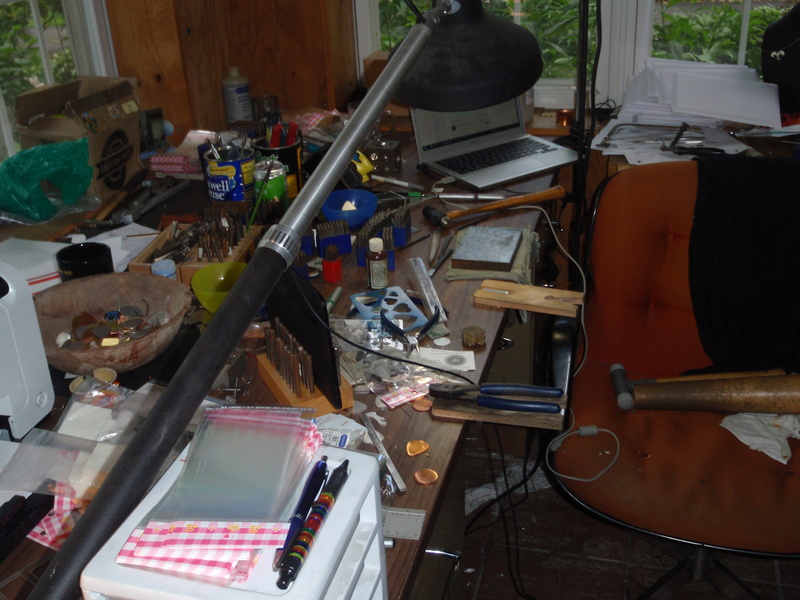 When you cannot bend anymore by hand use a nylon or rawhide mallet to hammer the bracelet into shape. 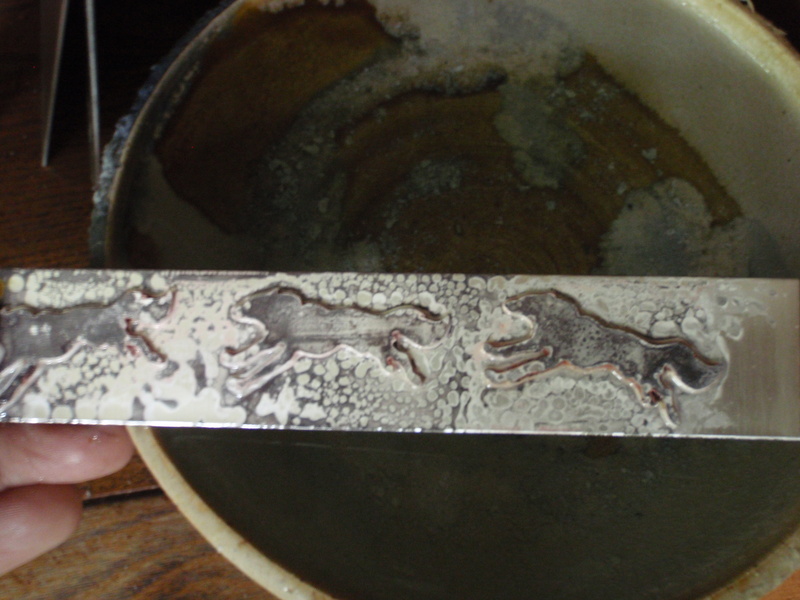 After the pre polish I added patina ( mine is a brush on Lifer of sulfur ) stinks like rotten eggs but gives you a nice consistent dark patina. 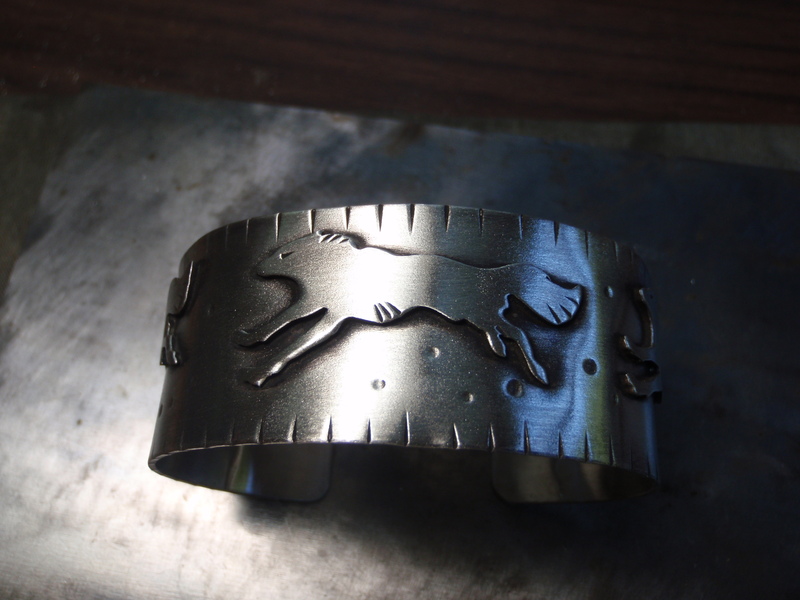 Polish again and voila done .